Wizz Air is a Hungarian airline with its main base located in Budapest. It reaches 144 destinations across Europe, Israel and the UAE. While they seldom cancel their flights, Wizz Air do suffer from some long delays. We help you to enforce your rights and level the playing field between you and Wizz Air. Our simple compensation calculator enables you to check if you’re eligible for compensation for free and directly enter your claim online. 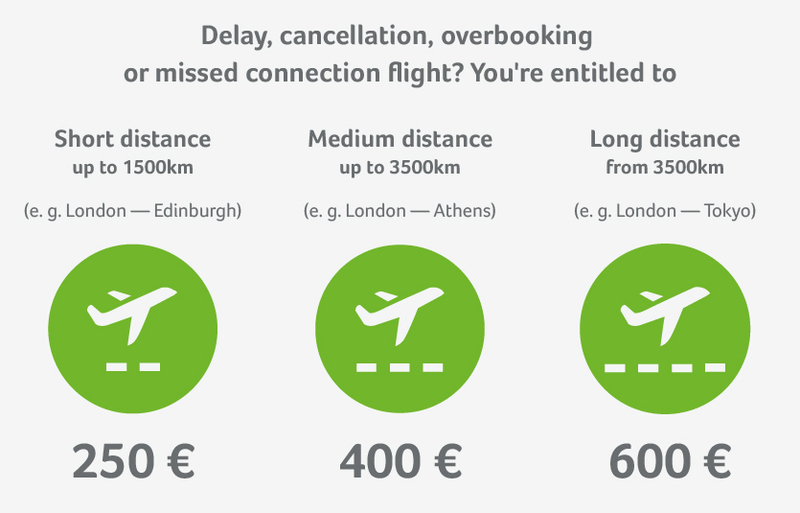 Under which circumstances is your flight delay eligible for compensation? When the delay goes over five hours, you have the right to cancel your flight. The airline is obliged to either reimburse you for the costs or find you an alternative transportation method. When the delay carries on into the following day the airline must find you hotel accommodation and cover the costs of getting there and back to the airport. Contact the airline directly and ask them to confirm this in writing. Important: Don’t allow any excuses! Vouchers for food or hotels don’t nullify the airline’s responsibility to pay the compensation you’re due. Thanks to our expertise, we enforce compensation with a very high rate of success. That’s why we are comfortable promising a completely free service if your case should be unsuccessful! Wizz Air caters for flights in 42 countries using 144 airports. It has a fleet of 85 Airbus aircraft with orders placed to for additional units. As a low-cost airline Wizz Air predominantly flies to smaller airports. In 2016 Wizz Air, impressively, only cancelled one flight outright. Unfortunately they did suffer quite a high number of delays of over three hours. This lack of punctuality leaves Wizz Air somewhere in the middle when analysing airlines’ reliability. Wizzair used to be highly uncooperative when issuing passenger compensation, and as a result Flightright often ended up in court to uphold valid cases. It must be said that this airline has become far more cooperative and now issue compensation at a much faster rate. If you’ve bought seats with Wizz Air then check can be done 30 days before departure. If not you can do it 48 hours before the flight. Not only is it time effective to check-in online but Wizz Air will also charge you for doing it at the airport. They have a dedicated app which will allow you to check in and keep track of any news about your flight. More information about Wizz Air here.